Offering a line-up of big music names and scene setters in a nautical themed fancy dress world, packed full of surprises, secret stages, colour and fun. The dates for the tenth Bestival, held at Robin Hill Country Park on the Isle of Wight, are Thursday 5th until Sunday 8th September 2013. The latest additions include Digital Soundboy Soundsystem featuring Shy FX, B.Traits, Breakage, Dismantle, Stamina, LX One, and Juma MC. Swamp featuring Loefah, Boddika, Pinch, Mickey Pearce, Klose1, and Chunky. And Trojan Sound System with Earl Gateshead, Daddy Ad, SuperFour, Chucky Bantan, and Jah Buck, plus many more. Sunday is headlined by Elton John, and on Saturday it's Snoop Dogg, Friday's headliner is Fatboy Slim. Also onboard the HMS Bestival is MIA, Franz Ferdinand, The Flaming Lips, Crystal Fighters, Jon Hopkins, The Correspondents, Valerie June, , Tom Odell, The Knife, Bombay Bicycle Club, The Roots, Belle & Sebastian, Jessie Ware, Disclosure, Sinead O' Connor, Chic Featuring Nile Rodgers, Squarepusher, Hot Natured, Angel Haze, The Polyphonic Spree, Johnny Marr, Bastille, Peace, The Strypes, DJ Fresh, Rudimental, Dexys, The Walkmen, John Cooper Clarke, Lissie, The Wonder Stuff, Caravan Palace, Matthew E. White, While She Sleeps, Merchandise, crewmen The Cuban Brothers, Howard Marks, and more. Skipper Rob Da Bank is joined on the wheels of steel by Richie Hawtin, Hudson Mohawke, Greg Wilson, Micky Finn, Carl Cox, A-Yo! (Mark Ronson Vs. Zane Lowe), Annie Mac, Seth Troxler, Julio Bashmore, Maya Jane Coles, David Rodigan presents Ram Jam, Dixon, Kerri Chandler, Eats Everything, Jackmaster, Spencer, Redinho, Sophie, Rustie, Joy Orbison, Fabio & Grooverider, Hospitality with High Contrast, Danny Byrd, Nu:Logic, Fred V And Grafix, and MC Wrec & Dynamite MC, Marcel Dettmann, DJ Yoda, The Daft Punk Tribute Night in the Hidden Disco, and more. For the line-up details day and stage splits as available please click here. There are still more acts to be unveiled, including the Friday headliner. Tickets including entry from Thursday 4th September are priced at £190 for Adult Tickets and £127 for Teen (age 13-17) Tickets. For those arriving on or after Friday 5th September adult tickets are priced at £180. Tickets for children (age 12 & under) are free (but must have a ticket). A campervan ticket is priced at £90 (per vehicle), and car parking is priced at £11 advance (or £15 cash on arrival). There's also a a 5 week payment plan which means that an adult ticket can now be bought at a payment of £38 per week (Thursday entry) or £36 per week (Friday entry) over 5 weekly payments. Once ticket buyers have signed up to the payment plan, which basically means giving your agreement by ticking the bank mandate form on Ticketline's website, Bestival will automatically debit your card on a weekly basis. NB: Booking fees will be charged with your initial transaction." Bestival has rules for those attending with teens. Ticket buyers are asked to note that adult tickets can only be used by persons age 18 or over. Teen tickets can only be purchased by persons over the age of 30. Purchasers of a child ticket or a teen ticket must be either the parent or legal guardian of the teen or child for whom the ticket is purchased.  Child and teen ticket holders can only enter the festival with the person who purchased their ticket i.e. their parent or legal guardian. Any Teen ticket holders attempting to enter the festival without this person will be denied entry to the festival. For safety reasons, any persons attempting to enter the festival with a Child Ticket holder that they are not the parent or legal guardian will be denied entry. Each adult attending can accompany up to a maximum of 2 Teen Ticket holders. Teen ticket holders must camp in the same location as their families and are not allowed in the arena field unaccompanied after 10pm. Teen ticket holders must be accompanied by their parent/guardian at all times after 10pm. Child ticket holders are not allowed in the arena or campsites unaccompanied at any time. As well as the music, Bestival has the world's biggest fancy dress party for 50,000 festival goers - this year's theme is Nautical, Bestival offers cocktail bars, laughter clubs, a farmers market, kids area, morris dancing, magical moments and more, as one of the most colourful events on the festival calendar. New for 2013 is 'The Port' and HMS Bestival - their most ambitious and largest project onsite since they started. The Port will be a landlocked harbour with a ship - HMS Bestival as its centrepiece surrounded by a pier, nautical sideshows and all the action of a bustling port... transported to a festival. The Port will boast state of the art sound provided by Funktion One, hi-tech lasers and LED screens and a boatload of pyro exploding from HMS Bestival's funnels. DJs will man the bridge, steering the good ship through day and night of techno and house with many of the world's top DJs taking to it's decks. The Port will also feature a lighthouse come helter skelter, a Dockers Bar, aerial performances from a huge crane, dancing girls and camp sailor boys on stage, plus dance podiums throughout the arena for the crowd, pyrotechnics, sparkle, flame and fire effects, confetti, and smoking funnels. Bestival's organisers are committed to making the festival as accessible as possible and great efforts are being been made to achieve this. However, Bestival is an outdoor event in a Country Park and on farm land that is predominantly positioned at the bottom of a valley between two hills that rise fairly steeply, and as such it will present challenges for wheelchair users and those with serious mobility issues. However, with a little help here and there it is manageable and Bestival provide free tickets for carers to this end. Carers can apply for a free carers ticket and a disabled pass. The Disabled Camping Area is positioned near to the main Robin Hill entrance. Vehicles with a blue badge (or similar) can park in the disabled camping area. It is about 5 minutes from here to the main arena but it should be noted that this journey will be downhill on the way there and uphill on the way back. There are charging points for electric wheelchairs available upon request and disabled toilets onsite. Contact the organisers if you have further questions. For those leaving the island by ferry please arrive no earlier than 1 hour before your departure time on Monday. Click HERE for information about all aspects of Bestival.